I’m a forms specialist - I work with organisations to help them make their forms easier to fill in and more effective. These days, I’m lucky enough to have my dream job: I’m part of the team at GDS creating design patterns and other resources for people who design what we call “government services”. But just between you and me, I’ve yet to meet a government service that doesn’t have at least one form somewhere - so really, what I’m doing is helping the whole of government to make better forms. It’s exciting. Only: making a better form isn’t easy. Even making a new design pattern isn’t that easy: we’re discussing over 100 of them on our design patterns hackpad, and we only publish a pattern on our Service Manual when we’ve got plenty of evidence from user research to justify recommending it. And the design patterns are only part of the job - designers have to do many other things, such as working out which questions on the form are really necessary. I’ve been collecting example forms forever, but as I mentioned: making a better form isn’t easy, and it turns out to be even harder to make a good form. I often find parts of forms that are fine - but there’s some detail or other that isn’t right. The patterns might be good but the instructions aren’t. Or both of them are fine but it’s weighed down with too many questions. A good form is legible and looks organised. It certainly can’t be a good form if you can’t understand the questions. But the real winner, the thing about a form that makes it truly successful, is if it lets you do whatever you need to do - easily. Follow Caroline on Twitter, and don't forget to sign up for email alerts. Well Page 1 is certainly easy and simple. What a pity it isn't possible to explore the rest of this clearly world-beating form without actually entering data into the the first page. I am strongly against online forms that do not let you have a prior overview of what is to come. I hope the form has some means of backtracking to the beginning (indeed to a point before the beginning) lest a particular answer needs to be reconsidered in the light of questions that follow.and that the whole thing can be trashed before any data that has so far been disclosed without user knowledge of its implications has been covertly harvested ... Why don't I trust you? Because I don't. I just paid my last tax return in July. All I had to do was enter the HMRC sort code and bank account into my online bank account to pay. What were all the calls HMRC were getting, surely it's not different to paying anyone else?! 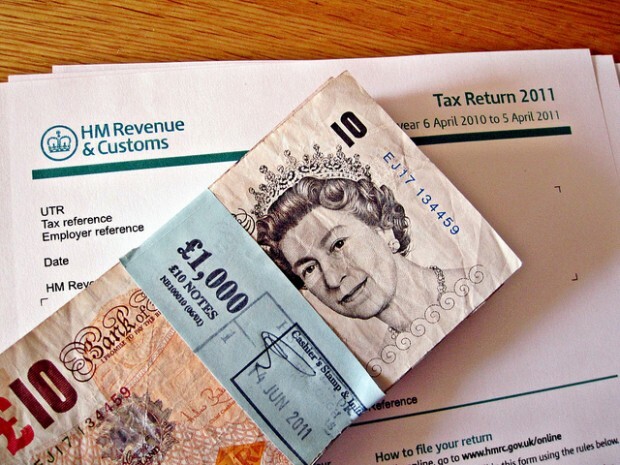 What did HMRC use prior to that form? Did it have a lot more than two fields? Just curious as to what the journey was that ended with such an easy solution, and how hard it was previously!